The spate of insecurity in Nigeria is becoming something else. 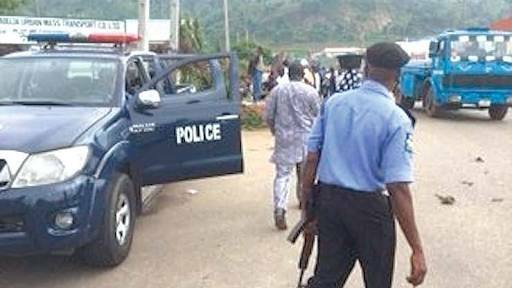 Nando community, Anambra East area of Anambra State was thrown into mourning at the weekend following the killing of a middle-aged man by unknown gunmen. The gunmen, believed to be kidnappers, reportedly shot the deceased, Maxwell Ezeudu while returning from a church prayer vigil. It was gathered that the deceased was heading to his residence at Aguleri in company of his mother and sister when he rammed into the gunmen who laid ambush for them. A resident of the community who spoke on condition of anonymity, told The Nation that the deceased nearly escaped from the gunmen before he was shot dead. “On getting to Nando, a neighbouring community, they rammed into a road block mounted by the gunmen and their vehicle suddenly stopped after it veered off the road,” he said. He said the gunmen allowed the aged mother to find her way while they took their turns to r*pe her before holding the sister captive. The Nation further learnt that the kidnappers later demanded for a N350,000 ransom after establishing contact with the relations of the family.